Toyota returns the Corolla name to the family hatchback segment with a more class-competitive hybrid-focused model line-up of hatches, saloons and estates. If you'd previously dismissed the Japanese brand as an also-ran in the Focus class, it might be time to think again. Why would you change the name of the world's best selling automotive model line? The reasons are difficult to understand, yet that's exactly what Toyota did back in 2007, changing the badging from its volume family hatchback model from 'Corolla' to 'Auris'. Now though, the 'Corolla' name in back. Indeed for Toyota, it's like it's never been away. The brand describes this as the '12th generation' model. Away from naming semantics, there's much of interest here, not least the fact that the primary engines offered are petrol/electric hybrids. 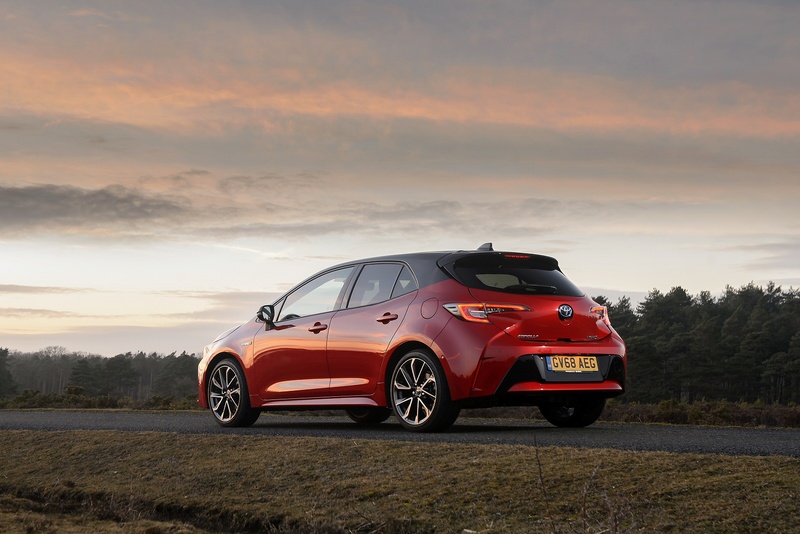 There are three body styles this time round too, a saloon variant joining the usual five-door hatch and 'Touring Sports' estate. All are built on the 'TNGA' 'Toyota New Global Architecture' platform and constructed at the brand's British factory in Burnaston, Derbyshire. We're looking forward to the chance to try this latest Corolla. For this car, there's an important advance in the development of Toyota's self-charging hybrid technology, this being the first of the brand's models in Europe to offer customers a choice of two hybrid powertrains - a revised 120bhp 1.8-litre system and a fresh 178bhp 2.0-litre unit that's engineered for more power on demand and more effortless acceleration, without compromising overall fuel and emissions efficiency. As full hybrids, both powertrains have the advantage of offering an all-electric drive capability, with zero emissions and fuel consumption. Both, as you would expect, are also matched to a seamless belt-driven CVT automatic transmission with six speeds. There are wheel-mounted paddleshifters supplied as part of this transmission package, but it's unlikely that typical buyers will make much use of them. For the record though, the 2.0-litre hybrid variant should get from rest to 62mph in around 8 seconds, which is reasonably rapid by class standards. Expect refinement to be excellent; certainly far better than it would be in a rival rumbly diesel. 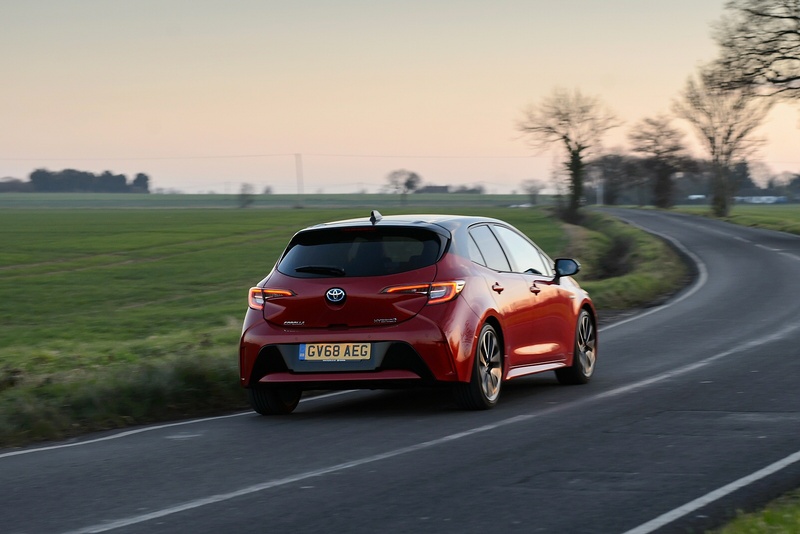 Toyota hasn't carried over much from the previous Auris model but an exception to that rule is the installation of that older model's conventional 115bhp 1.2T direct injection turbocharged engine in entry-level Corolla variants. This comes only with a manual gearbox. 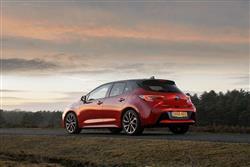 It's not only the styling that's more purposeful than that of the outgoing Auris model. 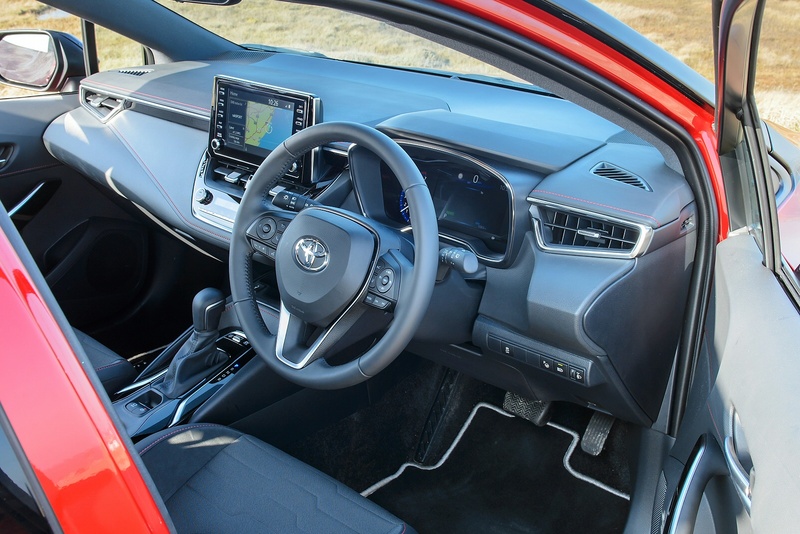 Toyota has made much more of an effort with interior space too, helped by the extra flexibility of this 12th generation Corolla model's new 'TNGA' 'Toyota New Global Architecture' platform. In hatch form, it's 40mm longer, 30mm wider and 25mm lower than the old Auris. That makes it only slightly shorter than a Ford Focus and quite a bit longer than a Golf. 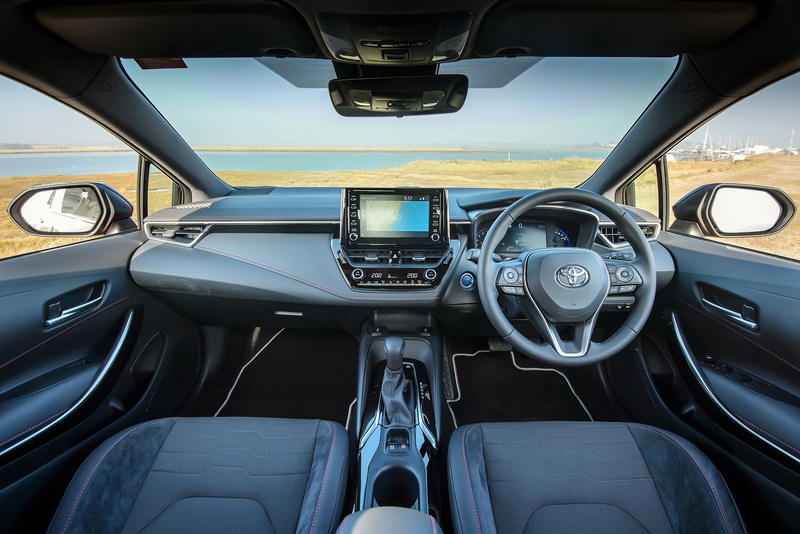 Inside, the cabin should feel considerably more up-market than the interior of an Auris ever was, with better-quality materials used and an 8-inch 'Toyota Touch 2' centre-dash infotainment screen as standard, complete with a DAB tuner and a reversing camera. On most variants, it will feature navigation too. 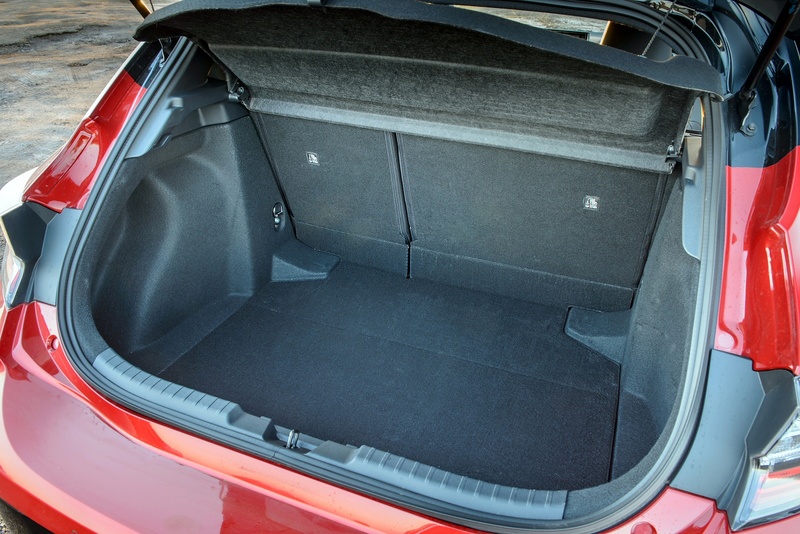 The extra space freed up by the more generous exterior dimensions should be particularly obvious in the rear, though some reports suggest that the optional panoramic glass sunroof does eat into headroom. Apparently, it reduces it by 22mm. Family folk are probably going to be directed towards the 'Touring Sports' estate body style. This station wagon derivative, like the alternative Saloon body style, sits upon a lengthened 2,700mm wheelbase version of the TNGA platform. 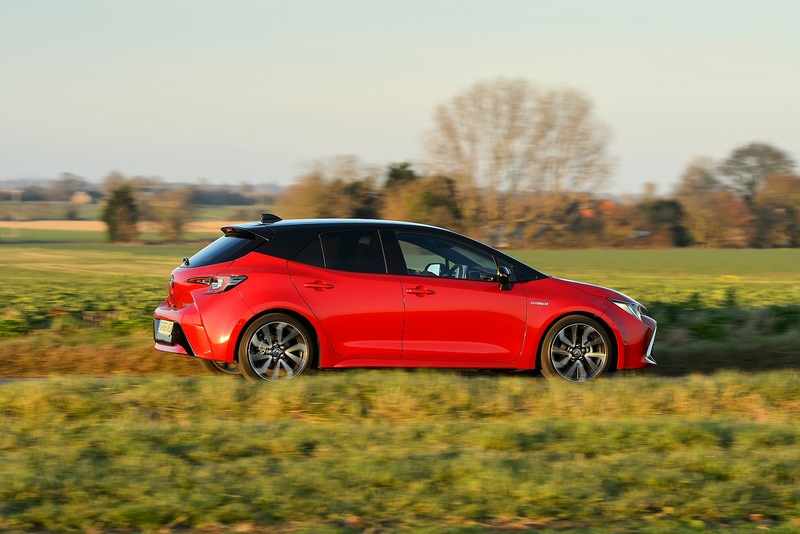 Toyota isn't bothering here to try and provide a sub-£20,000 entry-level model but nevertheless, the pricing you do get looks pretty competitive against rival diesel contenders in the family hatchback segment. The figures sit in the £21,000 to £30,000 bracket, with hybrid models starting from around £24,000. There's a premium of around £1,200 to go from the five-door hatch body shape to the 'Touring Sports' estate. There are four trim levels - 'Icon', 'Icon Tech', 'Design' and 'Excel'. All of these spec levels deliver plenty of kit. 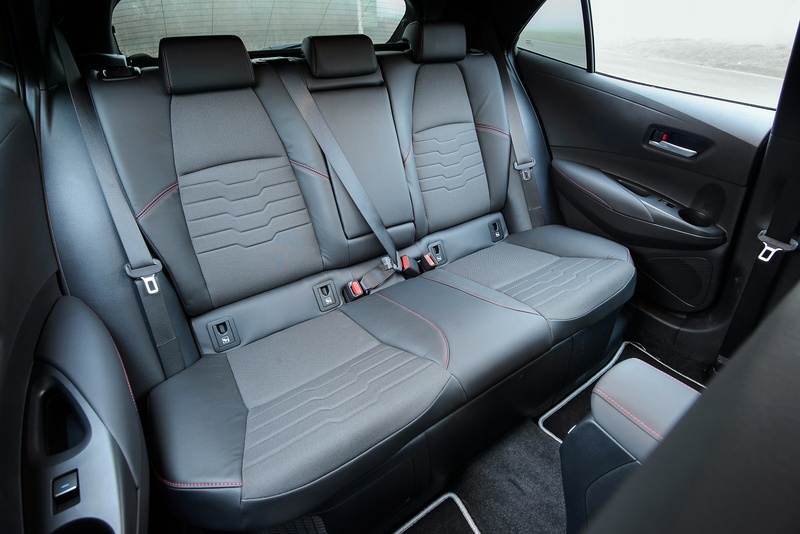 Even 'Icon' variants deliver 16-inch alloy wheels, heated front seats with lumbar support, automatic LED headlights, a reversing camera and in hybrid models, dual-zone air conditioning. There's also an 8-inch centre-dash 'Toyota Touch 2' touchscreen, your access point to a DAB tuner and a reversing camera. As the name suggests, the 'Icon Tech' grade adds further useful technology features, including satellite navigation and voice control, plus parking sensors and Intelligent Park Assist' set-up that will steer you into spaces. All Corollas get as standard the full package of 'Toyota Safety Sense' camera-driven safety features. These include autonomous braking, adaptive cruise control, Lane Trace Assist, Road Sign Assist and Automatic High beam. Toyota thinks that the vast majority of Corolla buyers are going to want a Hybrid engine - and a look at the efficiency stats reveals why. 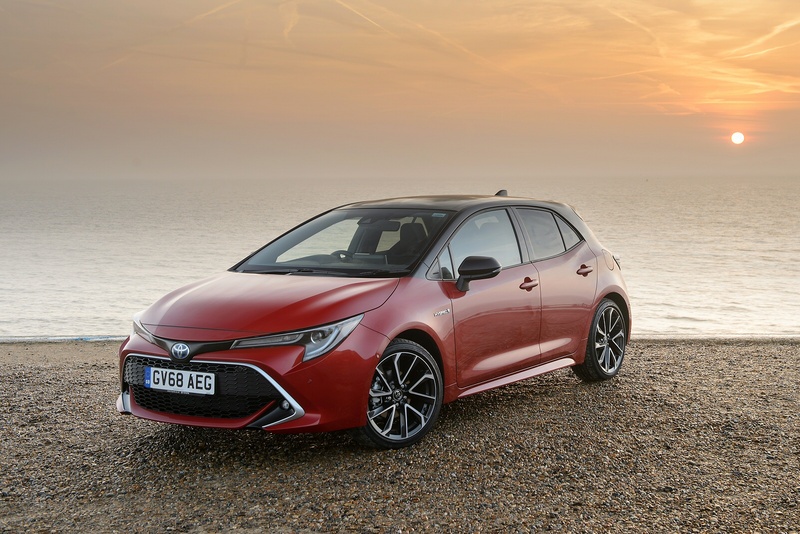 Even on the more stringent WLTP cycle, the stats are still pretty eye-catching, a typical 1.8-litre Hybrid Corolla Saloon managing 65.7mpg on the combined cycle and 98g/km of CO2. That's further helped, Toyota expects, by the fact that for typical customers, up to 50% of typical commuting journeys will be accomplished in all-electric drive. The Japanese maker describes the Corolla's Hybrid technology as being of the 'self-charging' variety, which means that it isn't of the currently popular Plug-in variety. The brand of course has this technology (it's available on top versions of its Prius model) but currently feels it isn't necessary for the Corolla line-up. What else? Well, the five year 100,000 mile warranty is extremely good and even after that runs out, you'll find that most spares are relatively inexpensive. There's also three years warranty against rust and 12 years of anti-corrosion protection. If you�re looking for a new Toyota Corolla 2.0 VVT-i Hybrid Design 5dr CVT [Panoramic Roof] Hybrid Hatchback for sale, you�ve come to the right place. 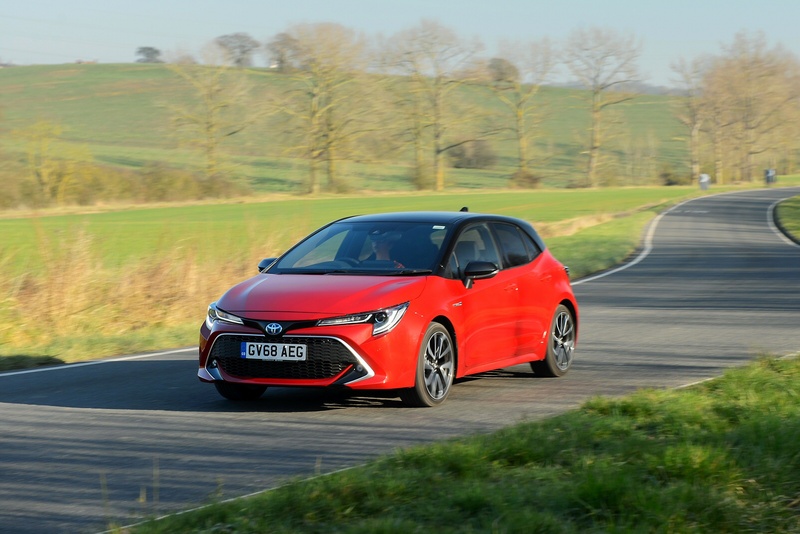 At Bristol Street Motors we don�t just have the best Toyota Corolla 2.0 VVT-i Hybrid Design 5dr CVT [Panoramic Roof] Hybrid Hatchback deals, we also offer friendly advice and help with all your enquiries to ensure your buying experience is a happy experience.